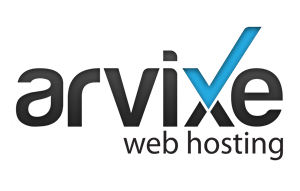 Arvixe is a great web hosting solution for personal, small business, and large corporate websites. With many packages available to choose from, each website owner is sure to find one tailored perfectly to their needs. Whether you’re looking for a place to host your WordPress blog, you need a streaming media site, or you’re an online retailer looking for a great hosting company, Arvixe web hosting is a great web hosting solution for your business, or even for your personal use. With a variety of packages from shared hosting to dedicated hosting and VPS hosting, everyone is sure to find a plan to fit their needs. Every package is loaded with free features such as a free domain name, free instant set-up, a free site builder, a free and easy to use control panel, and a the ability to create a free online store. Users will also enjoy unlimited disk space, unlimited data transfer, and unlimited email addresses. Website owners will have everything they need to create the perfect website to help their business compete and stand out in the crowd. The set up is instant and there are no hidden fees. The best part is, as a website owner, you don’t even have to know anything about programming. With an arsenal of tools available to help you build your site, there is no programming necessary to build a great site that your customers will enjoy visiting. Website owners will also enjoy $100 in Google AdWords credit as well as $100 a Yahoo! Bing Voucher. This is a great start toward building your online presence. All packages also come with a free Attracta SEO toolbox so you will know that your business is coming up in the searches your potential customers are conducting. One of the most important things for all website owners is that their site be up and running 24/7/365. Arvixe’s guarantee is 99.9% uptime. If ever they should fail, the client’s web hosting fee for that month is waived. The hosting company delivers on their uptime promise but every plan also comes with a 60-Day money back guarantee. With an Arvixe-hosted website, users will enjoy the RVSiteBuilder tool free of charge. Even though there are more than 500 templates available, some users are looking for something just a bit different. This tool even includes an advanced Do-It-Yourself tool which allows users to create their own, unique template. This site builder allows the more programming-savvy individual to create their own code for their website. But even users who know nothing about code will find this tool easy enough to use that their site could be up and running in as little as ten minutes. Blogs, photos, audio, and videos as well as flash content can be part of any site and RVStireBuilder makes it easier for any user to have these on their site. The Business and Busines PRO plans come with a free SSL certificate for life. This is important when you are running an online retail store where your customers are inputting their personal information and credit cards or other financial data. Arvixe offers all of the support website owners could need in the way of site security and securing the information of the business’ customers. Arvixe makes setting up and maintaining an online retail store easy, even for non-programmers. Taking payments by credit card or PayPal will give customer’s to a site options and an added sense of security. Online retailing is growing faster every day, and Arvixe makes it easy for even the smallest online retailer to compete. Arvixe is a great hosting option for business large and small as well as personal sites and blogs. With a huge variety of features and plans to suit any budget, most every website owner will find exactly what they need to create a great online presence that can help bring more customers through the door. Stay away from Arvixe! I’ve lost my sites data after learning from customer service that they had a hard drive failure and all my work/content inside SQL file was lost. I was very mad since I did not create a backup after week of work. Anyway, I’ve requested to get a refund and now I’m hosting on blue host. Help us to help others by leaving a short review. What was your experience with Arvixe? Review must be brief (between 17-49 words and check grammar and spelling). Select appropriate rating stars from each category. Please use your full name.